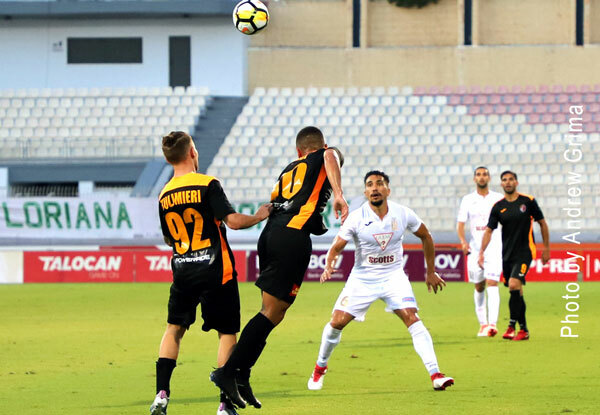 Valletta were the first team to reach the semi-finals of the National League 100 Anniversary Cup after beating ten-man Hibernians 2-0. 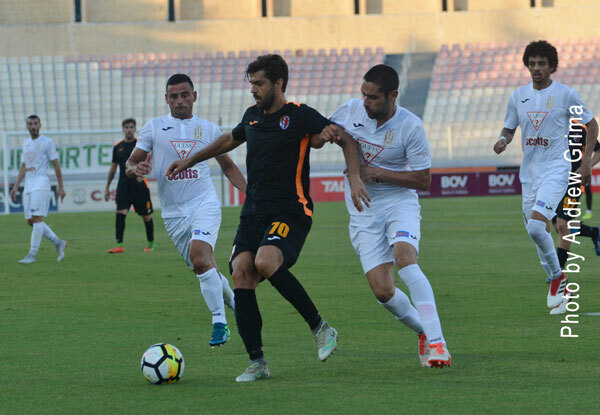 The Citizens had registered two easy wins in the previous rounds – 7-0 over Gozo and 3-0 over Vittoriosa Stars. The Paolites, on the other hand, reached this stage after defeating Qormi on penalties, following a 1-1 draw, in the third round and Marsaxlokk 3-0 in the fourth round. 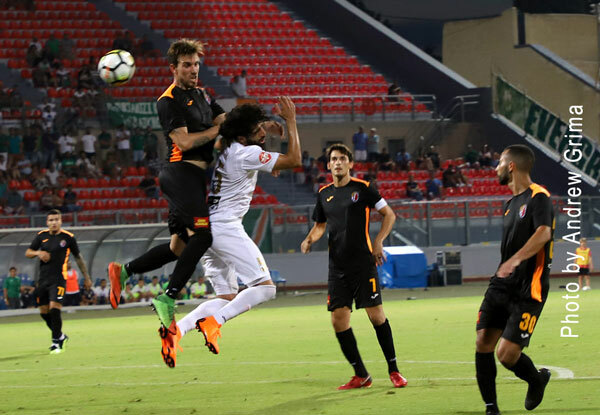 The first attempt at goal occurred on 14 minutes with a direct freekick by Kevin Sammut from the left being saved partially by Mario Muscat before the ball was cleared into safety. 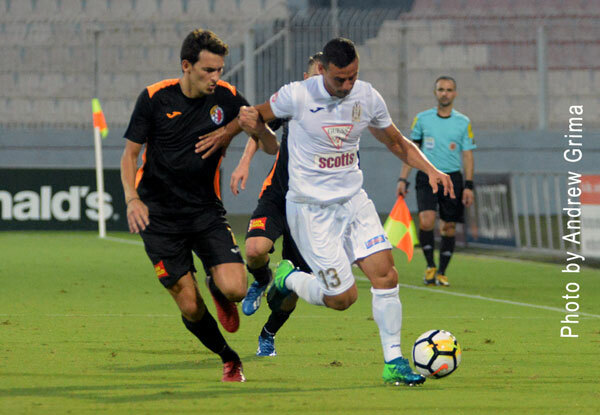 A minute later, Muscat rushed out of the area to stop Njongo Priso from entering the area, Gilbert Agius took the rebound but his goal-bound shot was cleared off the goal-line by a defender. Hibernians replied with an Andrew Cohen freekick ending just wide on 23 minutes. Then on the 40th minute, Declan O’Brien received a pass just outside the area and with a low shot, he just missed the target by a whisker. 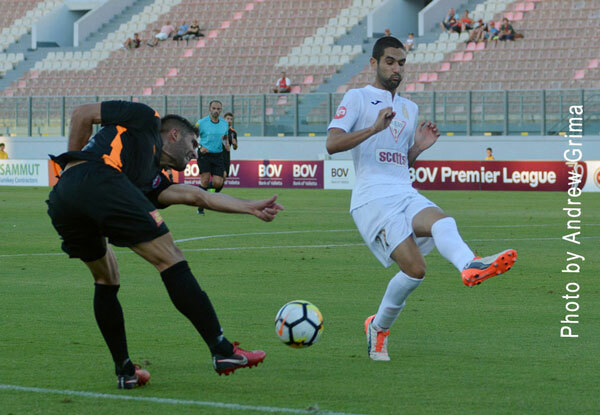 The Citizens managed to break the deadlock on 65 minutes when a long-distance shot by Roderick Briffa from the left was slightly deflected by a defender past goalkeeper Mario Muscat. 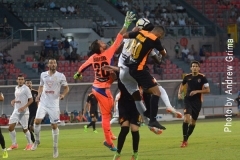 The Paolites’ reaction consisted of a Miguel Lopes De Pina diagonal shot from the right which was turned into a corner by goalkeeper Nicky Vella three minutes later. 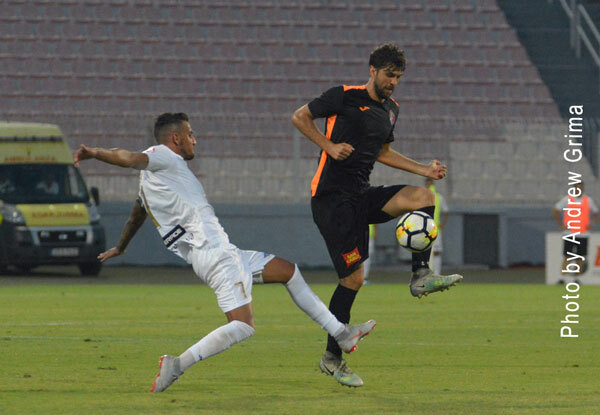 However they received a major setback on the 70th when Jonathan Pearson received a second yellow card for a foul just outside the area and was therefore given marching orders by referee Chris Lautier. From the resulting freekick, O’Brien had a fine attempt turned into a corner in style by Muscat. 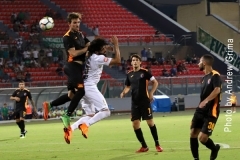 Valletta doubled the score on 73 minutes when off a cross from the right by Gilbert Agius, O’Brien had a a shot blocked on the goal-line by Ryan Camilleri but Kevin Sammut placed the ball at the back of the net from close range. HIBS Mario Muscat, Jonathan Caruana, Edward Herrera, Adrian Pulis, Aaron Xuereb, Jonathan Pearson, Andrew Cohen, Ben Camilleri (56′ Triston Caruana), Ryan Camilleri, Miguel Lopes De Pina (88′ Chris Camilleri), Elton Morelato (92′ Elkien Cauchi). Subs not used: Daniel Balzan, Yan Cauchi, Matthew Tabone, Christian Callejas. 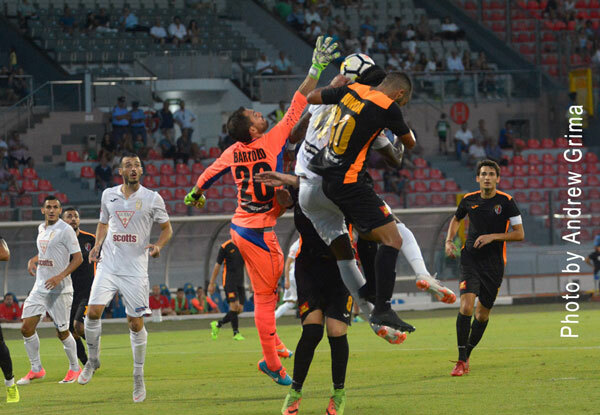 VALLETTA Nicky Vella, Roderick Briffa (81′ Edmond Agius), Steve Bezzina, Kenneth Scicluna, Luke Dimech, Gilbert Agius (85′ Terence Scerri), Jamie Pace, Njongo Priso, Kevin Sammut (77′ Dyson Falzon), Steve Borg, Declan O’Brien. Subs not used: Andrew Hogg, Jordi Cruijff, Cleavon Frendo, Dylan Grima.